Zabbix LLC is based in United States, Europe and Japan. Its CEO, owner and Zabbix product manager is Alexei Vladishev. The basic work sphere of Zabbix LLC is development of open source software for monitoring of networks and applications. Apart from that the company offers a wide range of professional services designed to fit every customer's unique business demands including implementation, integration, custom development and consulting services as well as various training programs. 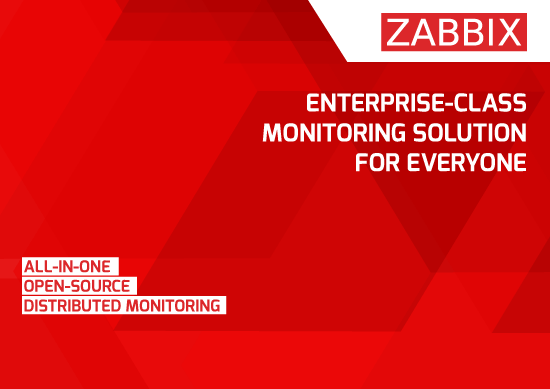 Zabbix team's mission is to make a superior monitoring solution available and affordable for all. The company's flagship product is Zabbix, one of the most popular open source monitoring software in the world. It is already used by a vast number of companies, who have chosen it due to real scalability, high and robust performance, ease of use and extremely low costs of ownership. For the first time Zabbix was released in 2001. Zabbix as a company was established in 2005 in order to provide expert technical support services.